Los Angeles is currently experiencing an amazing creative surge that we have not seen in quite some time. There are so many great artists and labels taking up residence in our sun drenched paradise that we didn't think it could get any better. Luckily, that is not the case. Enter- Centennial Apt. A relative newcomer as a label but helmed by one of our favorite multi-dimensional artists, Lee Landey. Centennial Apt. is hard to describe in the best possible way. There are no genre boundaries and the releases so far are completely unpredictable. From experimental techno, to raw primitive punk, the music finds a common thread of experimentation and dark, psychological torment. The label just launched a new webstore and we are thrilled to preview some of the new tapes available. One tape that immediately caught our attention was Teen Acne. A cohabitant at Centennial Apt. headquarters, this is the first tape from Teen Acne and you can immediately hear its mutated technoid sound with hints of Chicago House and Detroit techno. At times, it is ready for Thee Rave Dungeon, and other tracks focus more on experimentation of sound and moods. "Sinefolk2" is a great example of the breadth of the artist, beginning with delirium and tension that gives way to rhythmic enchantment. Tape available now. Female fronted L.A. punk with Centennial Apt. label-head on bass. Demo was recorded in just four days after members toured with other bands. Distorted, spastic, hatred that comes from no particular micro-genre or era. Pure, unadulterated punishment that is a whole lot of fun. Check out Enjoy! and I Ruined A Picture. Also available is E-Saggila's Crawling Chant and broken, synth driven punk by C57BL/6 on EP001. E-Saggila is from the stellar Toronto-based label Summer Isle and we just heard some great material from the artist featured on New Brvtalism No. 056 last week. The producer's work is murky techno from a place of fog and shadows. 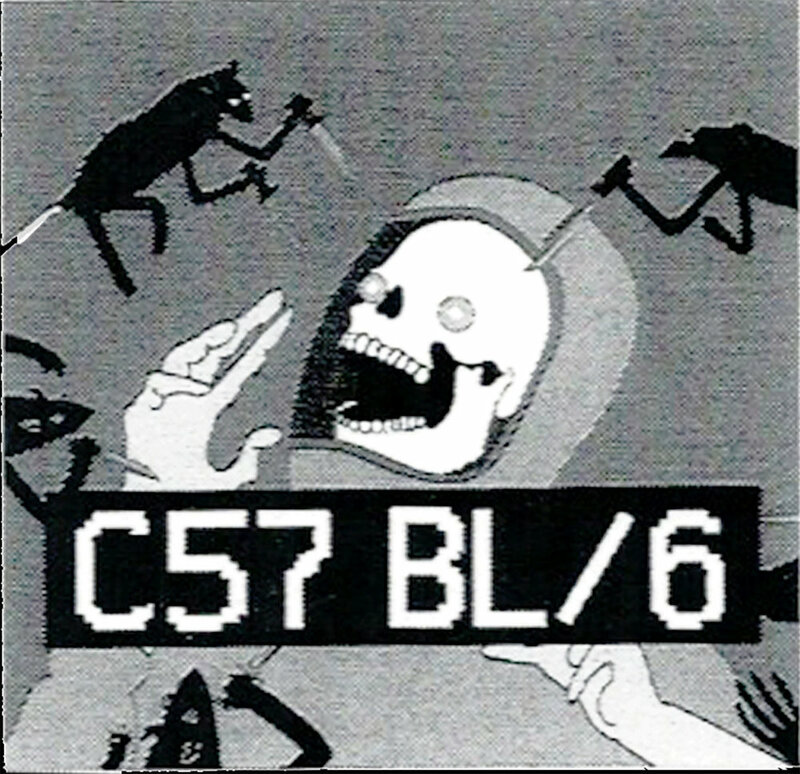 C57BL/6 is rooted in class L.A. synth-punk but evolved to form a menacing onslaught of dystopian psychosis. "The future is hell". The Centennial Apt. webstore also contains some dead stock Oil Thief merch and music from the artist. We are thrilled to see the label off to a great start with releases that are interesting, unique and often mystifying. This is definitely a label to watch and we look forward to hearing more. For more information and purchasing please visit Centennial Apt. and Bandcamp.